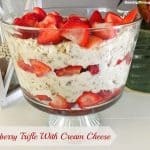 This chocolate trifle is about to be the hit of your next party! 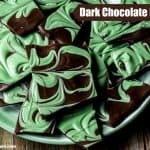 It looks AMAZING and tastes even better! 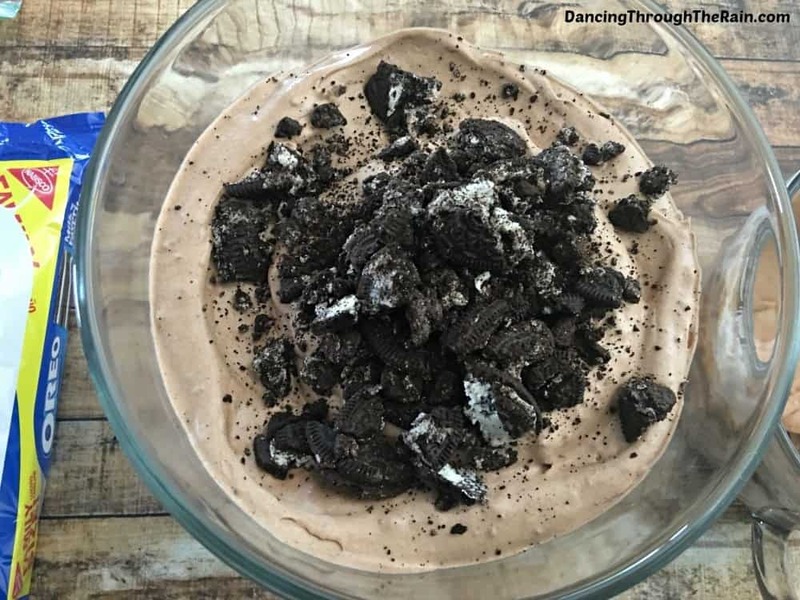 With Oreo cookies, Cool Whip and pudding, what could go wrong?? Anyone can make this and it will take you half an hour to put together. 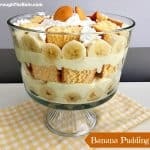 Be sure to try my Strawberry Trifle and Banana Pudding Trifle for other trifle ideas! In a large mixing bowl, stir together your instant pudding and milk. Set the bowl in the fridge for about 5 minutes to set. After set, stir half of your whipped topping into the pudding. Place 5 rows of Oreos into a large zip lock bag, seal the bag, and crush the Oreos with your hands. 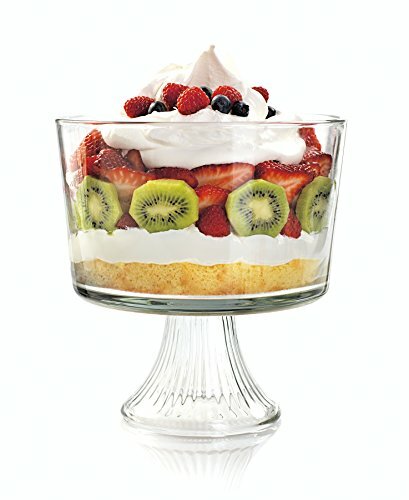 Grabbing your trifle dish, cover the bottom with a layer of whole Oreos and fill in the gaps with broken pieces. 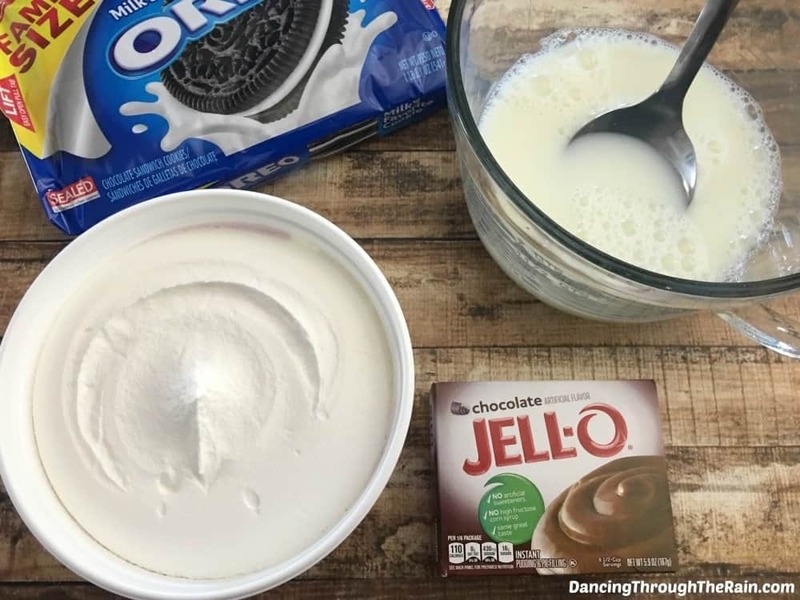 Spread about half of your whipped topping onto your Oreo layer. 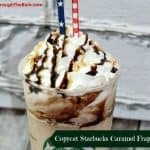 Add a layer of crushed Oreos on top of that and a swirl of chocolate syrup. Follow this with a thick layer of your chocolate pudding mixture. 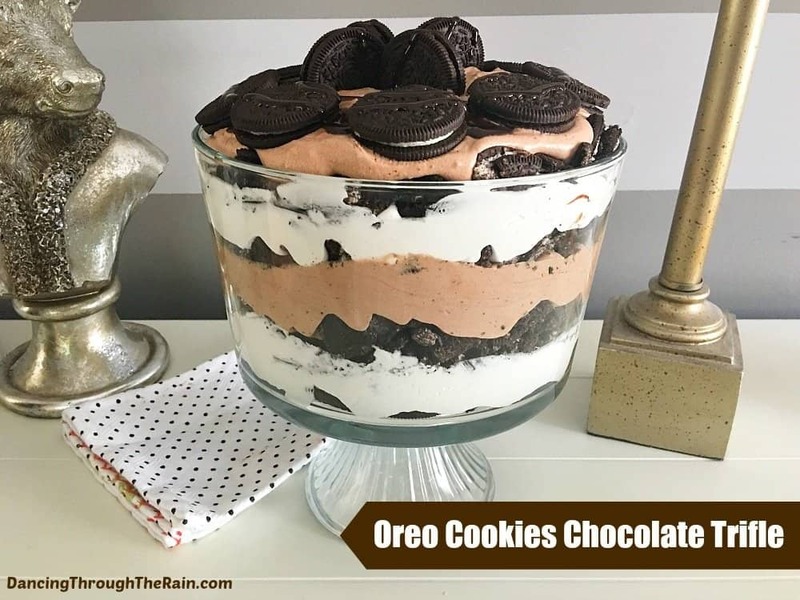 Add another layer of crushed Oreos and a swirl of chocolate syrup. 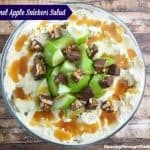 Add the rest of your whipped topping on top of that. Next, add another layer of crushed Oreos and a swirl of chocolate syrup. 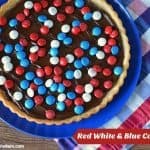 Add the rest of your chocolate pudding to the top and spread out evenly. 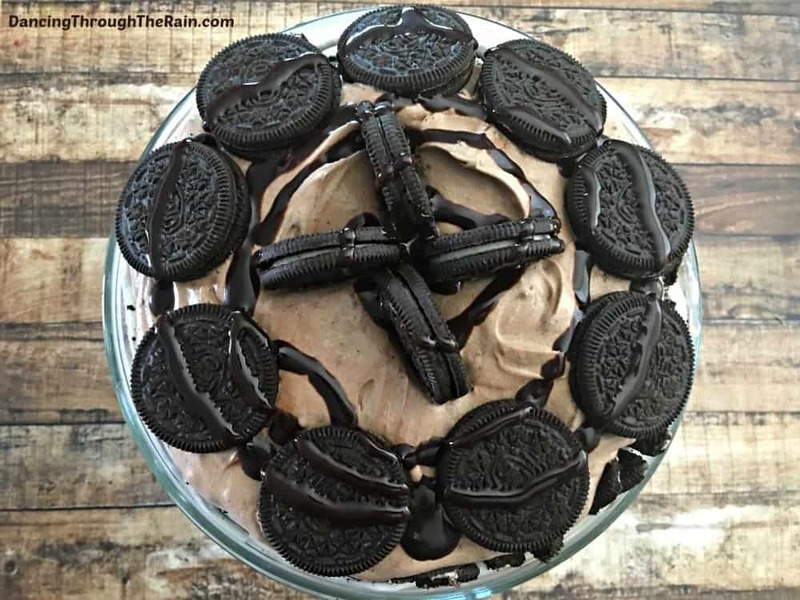 Make a design on the top with the rest of your whole Oreos and drizzle a little more chocolate syrup. 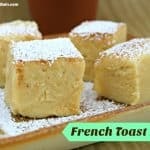 Now watch your guests drool! In a large mixing bowl, stir together your instant pudding and milk. Place the bowl in the fridge for about 5 minutes to set. After 5 minutes, remove your bowl and stir half of your whipped topping into your pudding. 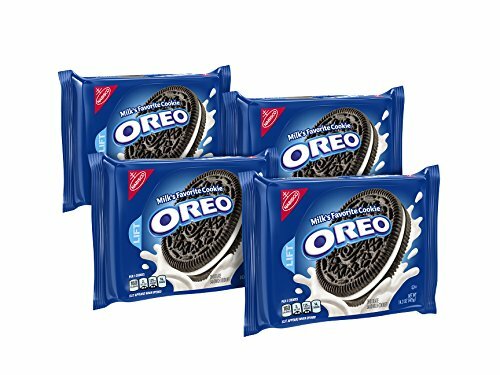 Add 5 rows of your Oreos into a large zip lock bag, zip it up, and crush the Oreos with your hands. 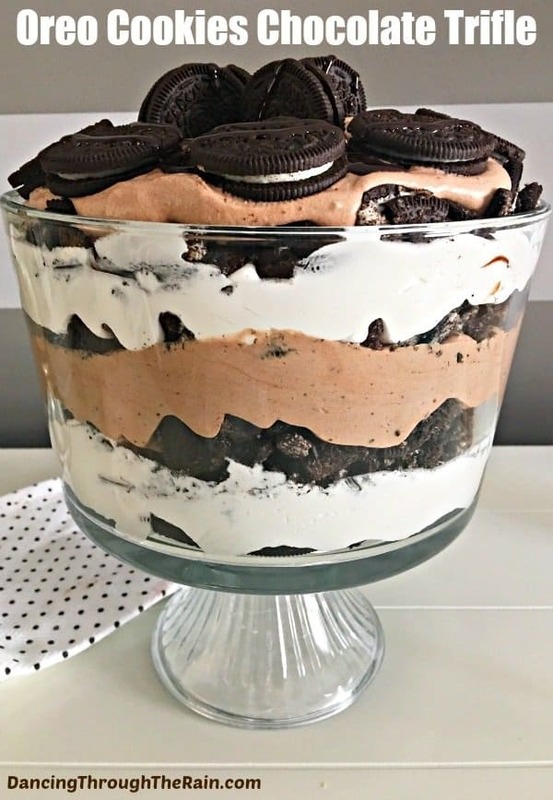 Grabbing your trifle dish, cover the bottom with whole Oreos and fill in the gaps with broken pieces. Spread about half of your whipped topping onto your Oreos layer. Next, add a layer of crushed Oreos and a swirl of chocolate syrup. 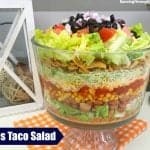 Add a thick layer of your chocolate pudding on top of that. 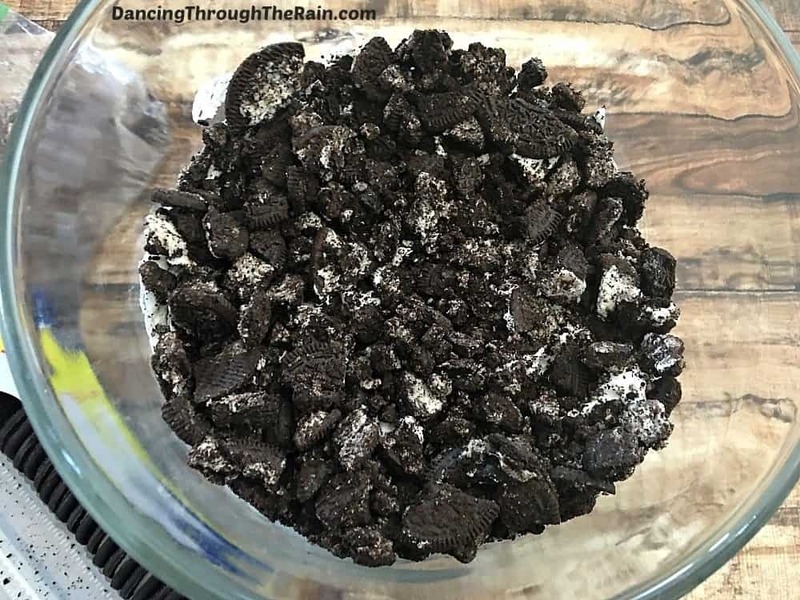 Now, add another layer of crushed Oreos and a swirl of chocolate syrup. Add another layer with the rest of your whipped topping. Add the rest of your chocolate pudding to the top and spread out evenly. Make a design on the top with the rest of your whole Oreos and drizzle with a little more chocolate syrup. My mom used to make trifles rather regularly when I was a kid. I think the layers are so pretty. I agree! They’re the perfect centerpiece as well.